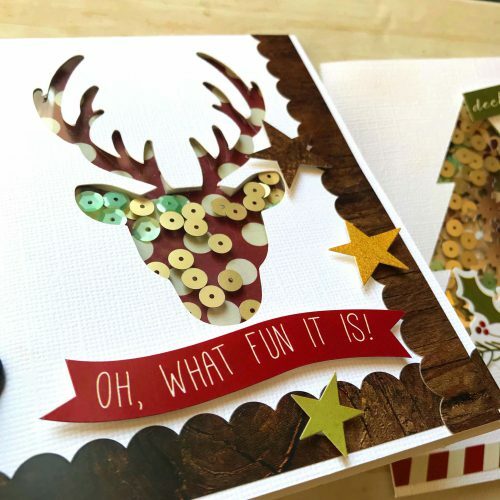 Let’s get moving with some fun holiday shaker cards! Hey lovelies! I hope you all had a great Thanksgiving. I’ve packed Fall away and can finally move to creating fun things for Christmas. 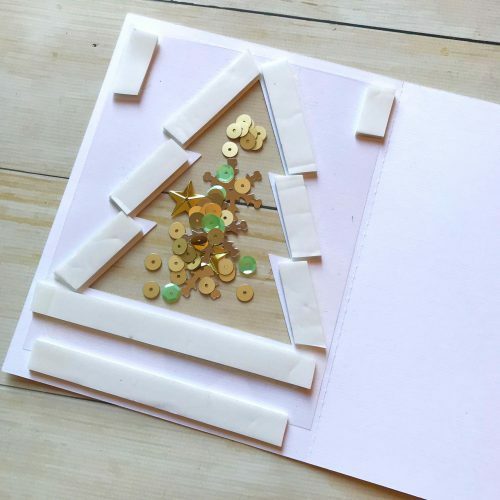 Today’s card design can be used for any holiday or season. Just change up your cut out shapes and colors inside the shaker area. Check it out…let me show you how. Start by choosing shapes you love. I went with a Christmas tree and a reindeer. 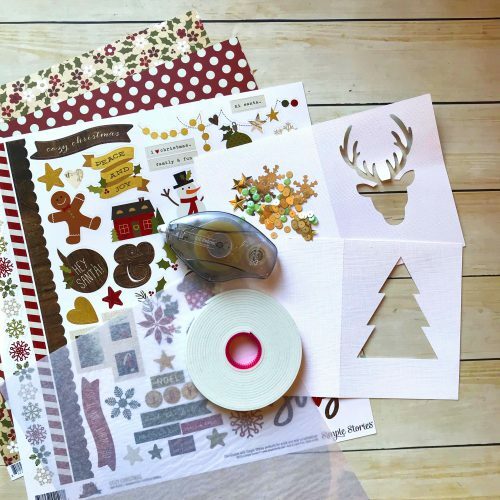 Find some holiday scrapbooking paper for the background and matching colors of sequins to get started. 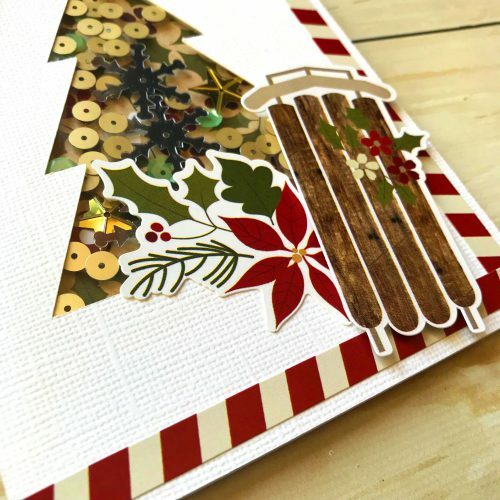 I found a great holiday collection from Simple Stories that was perfect! The four images below show how the shaker feature is created. 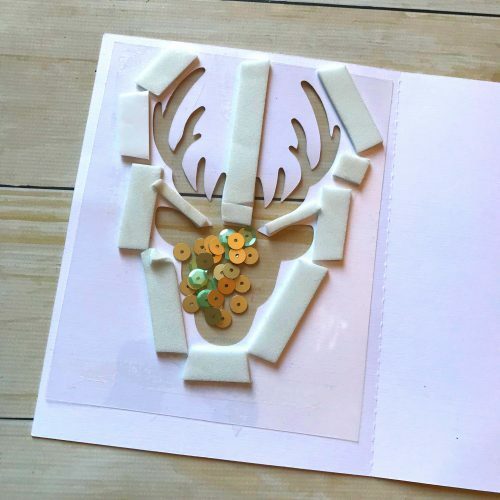 After I cut my shapes on my card bases with the Silhouette Cameo, cover over the cut shapes acetate using my E-Z Runner® Ultra Refillable Dispenser to secure it in place. 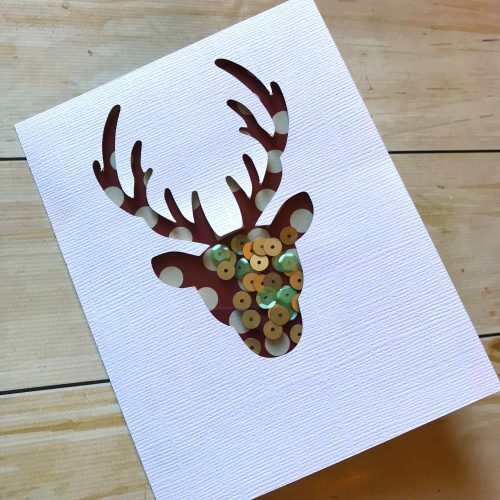 Add Crafty Foam Tape around the shape but make sure that there are no gaps because those sequins will escape! You don’t want that 🙂 Also, don’t forget to add Crafty Foam Tape on the bottom and corners for balance. Don’t forget to add those sequins in the middle area of your shape. 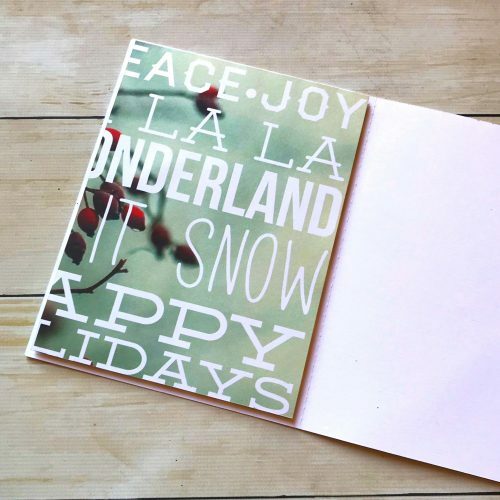 Trim your patterned paper size – enough to cover the back side of the card front. 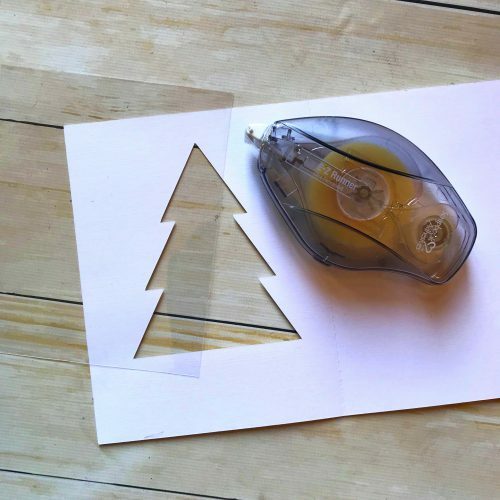 Finally, remove the liner from your Crafty Foam Tape pieces and cover with the cut paper. This should cover your shaker feature. Give it a shake – isn’t that fun? 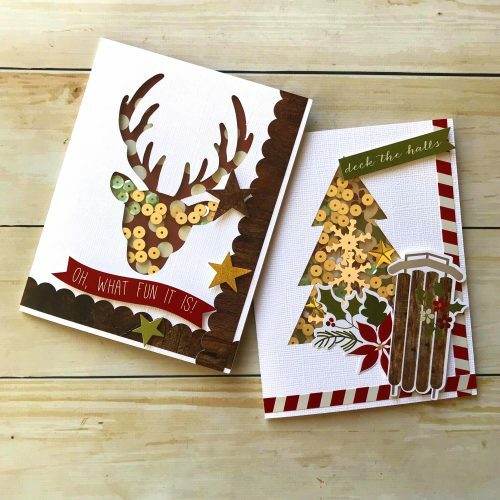 Now we embellish the card front with cardstock stickers that came with this holiday collection to tie it all together. To bring more interest to the stickers, use 3D Foam Squares to pop up a few. See the close-up image below for some ideas. Have fun with the shapes you choose and the embellishments too. This entry was posted in Adhesives, Cards, Crafts & Tutorials, Crafty Foam Tape, E-Z Runner® Dispensers, Seasonal Craft Ideas, Tutorial, Winter and tagged 3D Foam Squares Mix White, 3D Foam Squares Regular White, 3D Foam Squares Small White, Bazzill Basics Paper, Card, Card Making, Christmas, Crafty Foam Tape White, E-Z Runner Ultra Refill, E-Z Runner Ultra Refillable, Holiday, Latrice Murphy, Sequins, Shaker Card, Silhouette Cameo, Simple Stories. Bookmark the permalink.